The appeal of camping and off-roading has long been its association with a simpler life—substituting the ubiquitous elements of modern technology for placid lakes, cleaner air, and zip-up tents. In that vein, most off-road-ready vehicles have traditionally been rough-riding beasts with little regard for on-road manners or interior creature comforts. Outside of Barcelona, in the shadow of Montserrat mountain, we’re exploring an exception to this rule, as part of Land Rover’s Catalonian Escape. Like all such Land Rover Expeditions, the Catalonian Escape provides mostly city-dwellers (Land Rover owners or not) the opportunity to encounter a challenging outdoor environment with a luxurious approach. Land Rover Expeditions, a series of premium adventure holidays, are offered through the company’s global network of Land Rover Experience Centres, designed to provide the ultimate driving experience. (An eight-day Botswana expedition took place this past September, and two trips are currently slated for 2012, with locations yet to be confirmed.) Our expedition involves a winery estate tour, a rather luxurious version of camping through soggy conditions, off-road slipping and gripping, and it culminates in the Catalonian capital, Barcelona. We were picked up from the airport in adventure-ready LR4s (Discovery 4s, as they are called in Europe, although they are the same car), that are armed with an intimidating and thoroughly un-aerodynamic Warn 9.5XP winch that is fitted with synthetic ropes and stainless steel fairleads, covered in extra underbody armour accessories, and all decked out in Land Rover Experience livery. Off-road aggressive but still comfortably quiet, Goodyear Wrangler MT/R (Maximum Traction, Reinforced) tires are fitted, in part for extra off-road grip, but more for their tough rubber compound that’s less susceptible to punctures by sharp rocks or runaway bulls. The duality of toughness and refinement is a common theme throughout the trip, and it is mirrored in our activities: we spend the first evening wandering through vineyards and dining at the Can Bonastre Wine Resort, and the next morning, we play in the dirt of dry forest trails. The requisite ruggedness becomes apparent soon after a persistent rain turns the dirt trail in front of our trucks into gooey, black muck. All seems fine with the Land Rover stopped six metres in front of us, at the hump of a sloppy mud pile in a forest in Les Comes. Yet members of the Land Rover Adventure crew race around the truck with special equipment. And we soon see why. Even with the brakes on and the special off-road tires not moving, the truck slowly starts sliding menacingly sideways into a steep gully looming on the driver’s side. The LR4 picks up enough speed that when its left wheels bump the bottom of the gully, the SUV’s roof leans perilously toward the earth, and we cringe, anticipating a hard landing on its side. Land Rover Expeditions are a series of adventure holidays designed to provide the ultimate driving experience. 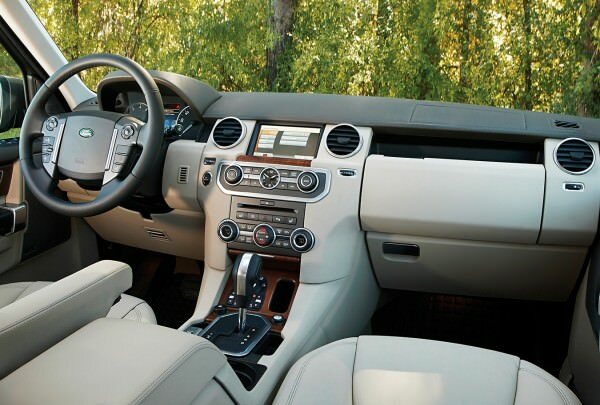 Each expedition combines a challenging outdoor environment with a luxurious approach. The truck seems to hang there on two wheels for a long moment, flashing us an unexpected yet revealing peek at the LR4’s considerable underbody protection. Then it lands back down on all four wheels. Video evidence later confirmed that the LR4’s prodigious wheel travel meant its right side suspension had extended fully—but those two wheels never totally left the ground. Nonetheless, the truck is perched at a 45-degree angle, with the driver unable to open his door for its close proximity to the ground, so out comes the winch to help. Within 20 minutes, the LR4 is free. Yet there is now a steeper-sloping mud pile, and still six vehicles need to cross. The solution? Forge a new path—one that’s five metres up the nearly straight up the earth wall next to us. This is adventure, Land Rover–style. Although Land Rover manages comfortable luxury with off-road capable vehicles, this particular version of camping is raised to a new level. Sure, there are zippered entrances and canvas walls involved, but there’s also a covered and carpeted verandah, complete with two pillow-lined wicker chairs. Then there’s the full-height, mosquito-netted entranceway, and a thick duvet covering a down-filled double bed. (No need to worry about unwelcome critters finding an opening in your tent, sleeping bag, or pajamas.) Add in some welcome niceties like a plug-in heater, lamps, a hair dryer (which worked well for drying wet clothes), and flashlights, and it makes for a rather comfy refuge from the rain. Yet the weather still made for some unintended adventures. Separate temporary washrooms offered outdoor showers that only a few brave souls sampled. Late-night bathroom breaks required bundling up and bringing an umbrella. Outdoor wood-panelled sinks and mirrors were covered, but just. No matter the foresight of Land Rover event planners or engineers, Mother Nature has a way of demonstrating her dominance to all who try to tame her. This seemed a fairer fight in drier environs, especially when Land Rover surprised us with the appearance of its Bowler Nemesis (Baja 1,000) off-road racer. Built on a modified Range Rover Sport body, the rally-ready racer is all lightweight: exposed metal, go-fast business inside, except for the seats and five-point harness they are now strapping us into. Once we’re buckled in, a Land Rover hired gun takes us over and around a makeshift off-road high-speed track. Although a few ramps provide the trademark four-wheel jumps that always make it to desert racing highlight reels and SUV commercials, the most fist-clenching aspect is taking rocky turns of corners at high speeds, letting the tubular space-frame chassis and independent suspension all-around absorb the punishment while we bound off bumps that would have been obstacles in any road-going SUV, even an LR4. Returning to our Discovery 4s/LR4s after the joyride in the Bowler Nemesis brings on a new appreciation for the street-able Land Rover’s opulent surroundings, leather-lined seats, and comfortable suspension settings. Our European Discovery lacks the natural-finish woods that come standard in North American versions, but it does feature a much more fuel-efficient 3.0-litre diesel V6 instead of the new world’s much stronger and smoother 375 hp 5.0-litre V8. When asked about the possibility of Land Rover bringing its diesels to North America, Land Rover reps quickly point out that upcoming EU6 emissions rules will force both standards to align closer together, including for diesels. Since the EU6 rules are to be implemented by September 2014, for 2015 vehicles, these diesels could very likely appear on both sides of the Atlantic in the next few years. 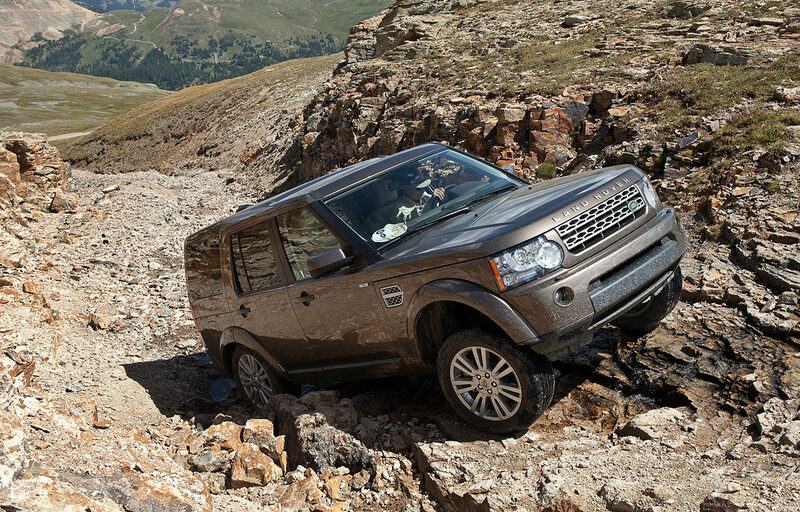 The LR4’s off-road bits meet the same high standards all over the world. All LR4 engines have a deep, pressure die-cast oil pan to accommodate extreme tilting angles, and belt drives are waterproofed, as are the alternator, air conditioning compressor, power steering pump, and starter motor. Twist the circular mode selector in between the front seats to its “Mud” setting, ensure the air suspension is at its highest adjustable ride height, click on the nearby Hill Descent Control button that limits your downward momentum automatically, check that the four-wheel drive “Lo” range off-road button is engaged, and you’re ready to tackle the most treacherous terrain. Granted, even all this gear doesn’t mean that the LR4 can make it through all such mucky conditions as we encountered without getting stuck, because it does. What turns a Land Rover trapped in mud in the middle of nowhere from a dangerous nightmare to just another part of the adventure is the well-equipped and highly experienced Land Rover team of instructors. Not only do they jump into action to extract immobile Landies when something goes wrong, they gamely sacrifice their comfort to stand outside and direct you carefully to the right path up, down, around or often over sizable obstacles. Yet ours was precisely the kind of detour that happens on a regular basis on such Land Rover adventures. Land Rovering off-road is supposed to be the gentlemanly art of treading lightly over incredibly treacherous terrain, and it’s these types of off-road experiences in which Land Rovers truly excel.